Andrews Architects joined Trivium Development in the revitalization of the building at 350 West Wilson Bridge Road in Worthington, Ohio. The 40-year old 60,000 square foot building, which was vacated nearly a decade ago, was in dire need of renovation. 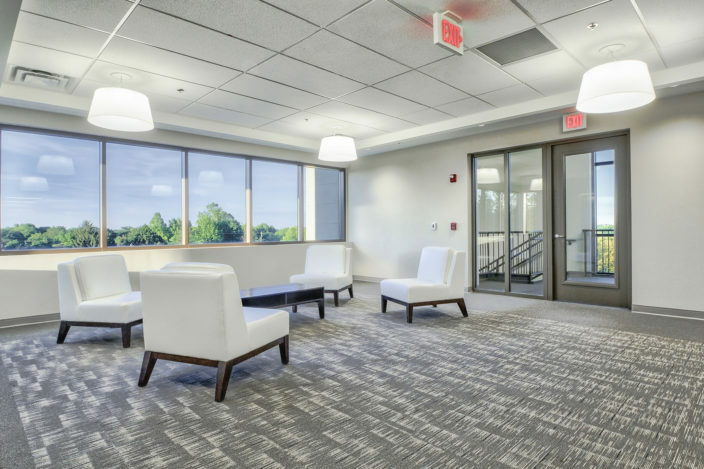 Andrews worked with both Trivium and the building’s tenants to develop a grand entry at the front of the building with a new stairwell, accessible elevators, and a grand lobby, in addition to a generous amount of glass offering natural light and views from the space. Further, stairwells were relocated to create more efficient use of the space for the building’s tenants. In addition to aesthetic and programmatic renovations, the building’s original windows, lighting, mechanicals, and exterior materials were all replaced to make it more energy-efficient and comply with current standards. The site’s extreme grade was adjusted to create a level drop off with a canopy. 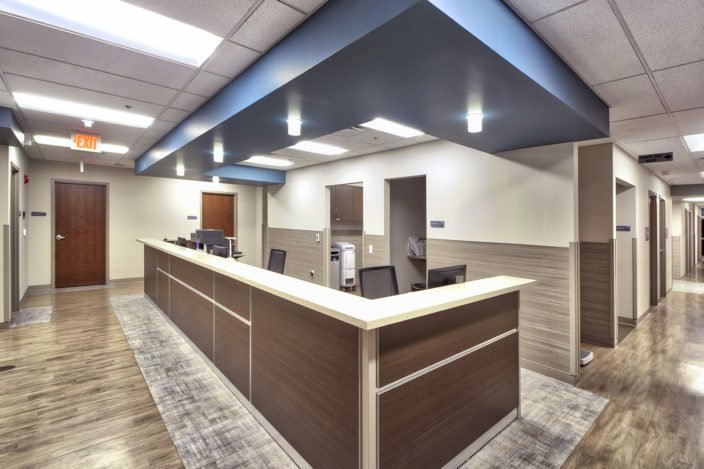 The main tenant for the newly revitalized building is Central Ohio Urology Group (COUG), which is one of the largest urology practices in Central Ohio. 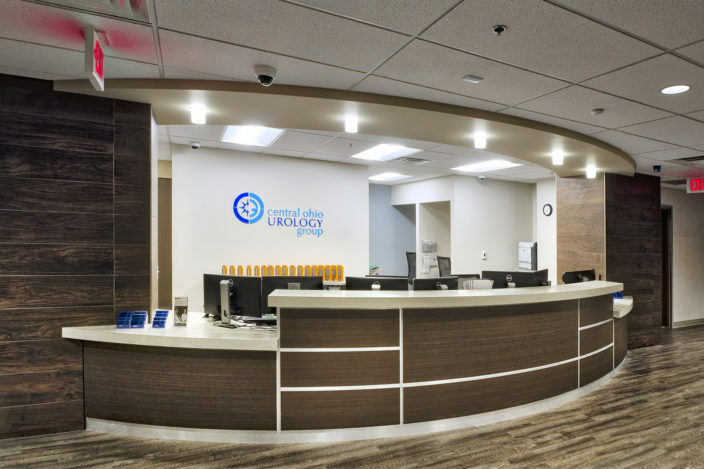 In order to provide advanced urological care, the practice consolidated several offices and clinical space in this facility. 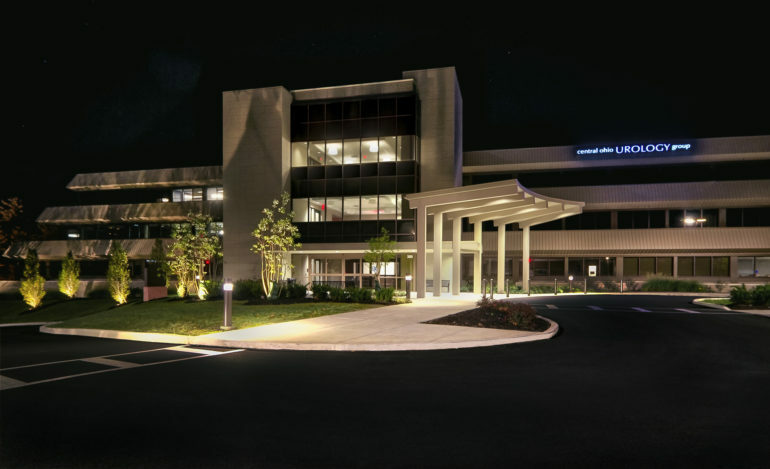 The Worthington location includes a lab, CT imaging suite, and clinical spaces. 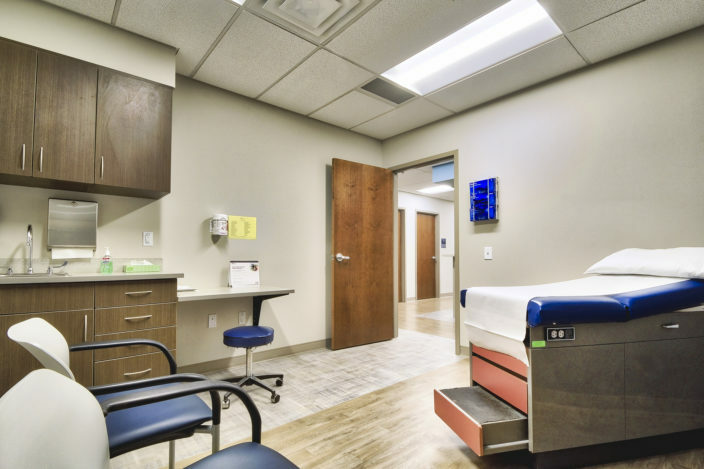 These services streamline patient services, allowing one to get a full blood work up, a CT diagnosis, and see their physician, all in a single visit. 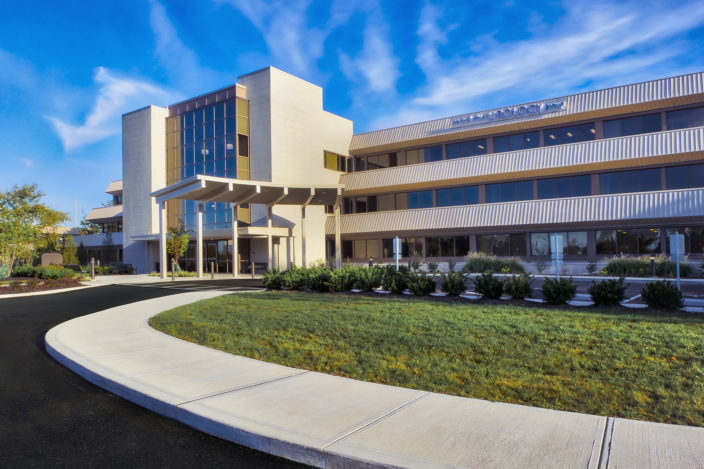 In addition to COUG, Andrews Architects also designed tenant spaces for Wheels Up and Dr. McClatchie in the 350 West Wilson Bridge Road facility.